First flight with a passenger! I decided since gaining my licence not to blog re every flight, as I’m sure those that read my blog will soon get bored if I do! Today (25th July 2015) I took my first passenger up in our Microlight and the dubious pleasure went to my daughter, I just thought if I’m going to kill someone I may as well keep it in the family!!! 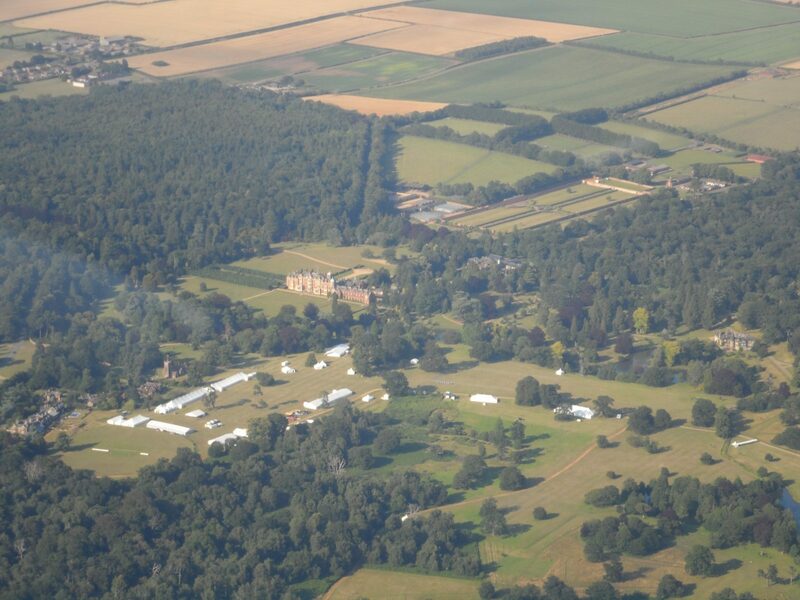 I had booked the aeroplane for 3 hours and we were planning to fly up to the west of King’s Lynn and along the coast to Holkham, however checking the NOTAMs I found that there was an exclusion zone around Holkham due to a parachute display. 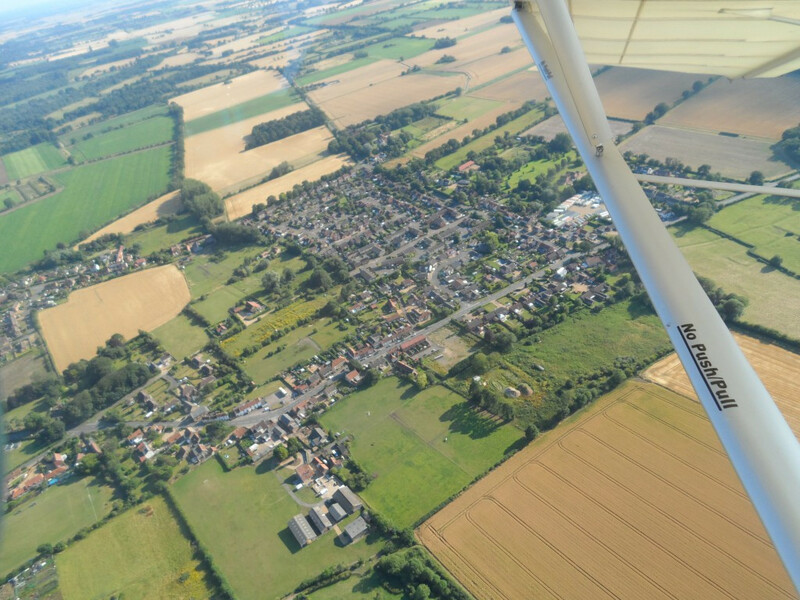 So we decided we would shorten the route and turn back at Brancaster and fly back down to Sandringham and then to nearby Castle Rising down the east of Lynn and back to Chatteris. Simon had just returned from his lesson and was refuelling GL (our plane) when we arrived, there was new guy in the clubhouse who had around 7 hours and most of the usual crowd where there as well. I decided to put an extra 10 litres in the plane before we set off so we had plenty in there if we decided to go some place else. 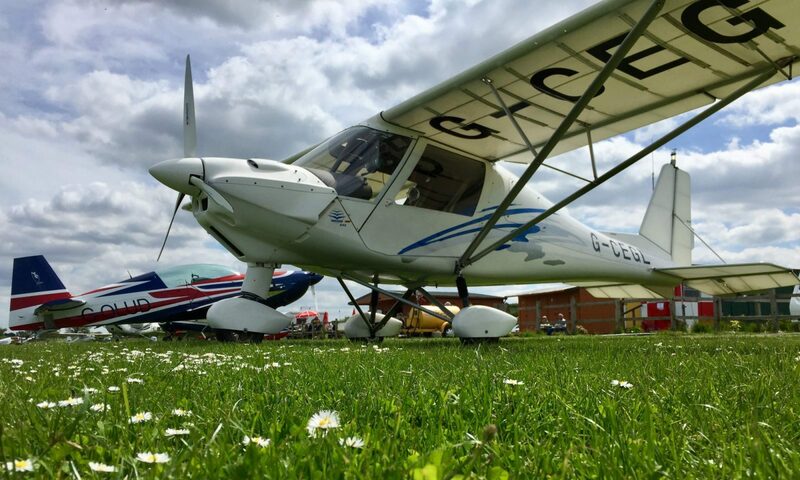 As the weather was improving with every minute we had a cup of tea before we went flying and by the time we were ready the wind had moved around from favouring 29 to 01 and also died down a bit, result! I talked my daughter through how the emergency ballistic chute works and the seat belts etc. once in the plane I went through the checks explaining what I was doing and why, we then waited for the parachutist to come down and we were then off! 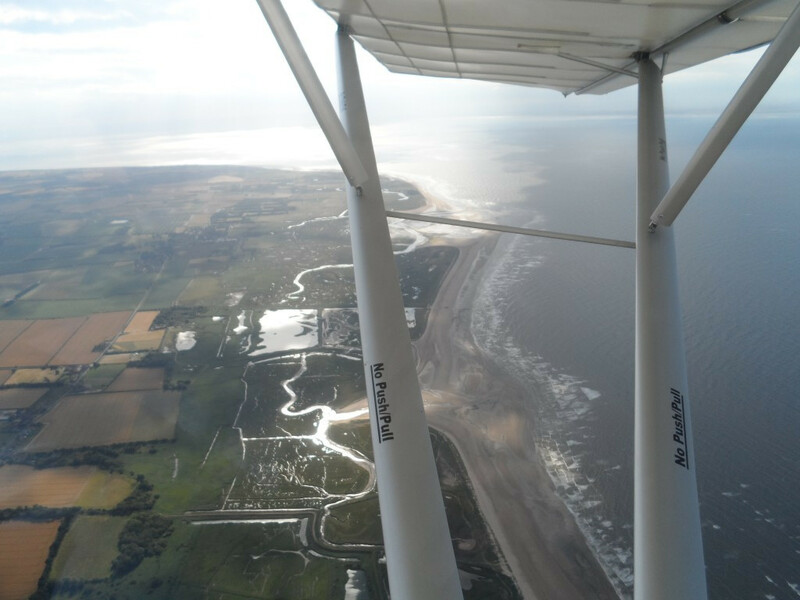 The climb out was a tad bumpy but not too bad and we levelled out at 2,700ft leaving the circuit to the north east. 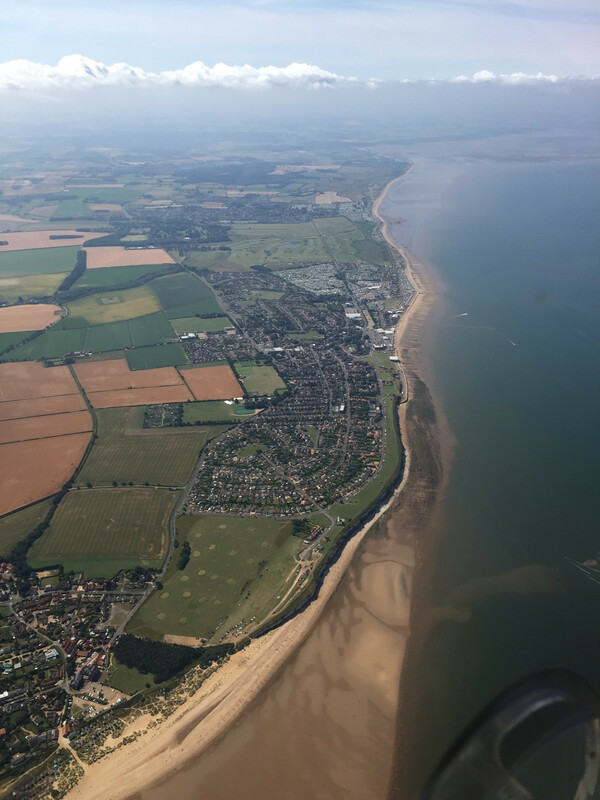 As we got nearer King’s Lynn I started to point places out and my daughter was having trouble picking them out, it reminded me of the problems I had in spotting the places Mike used to point out to me, however as we flow up the coast she got better and better at spotting places. We turned at Brancaster which is just beyond Holme-Next-The-Sea but decided to fly first to Gayton and on route we took some pictures of a place we thought might be Sandringham, but if it was I had not entered it on Skydemon correctly, so I took a picture on my iPhone which geotags it and I can check later, it turns out it was a place called Houghton Hall which looks very majestic. 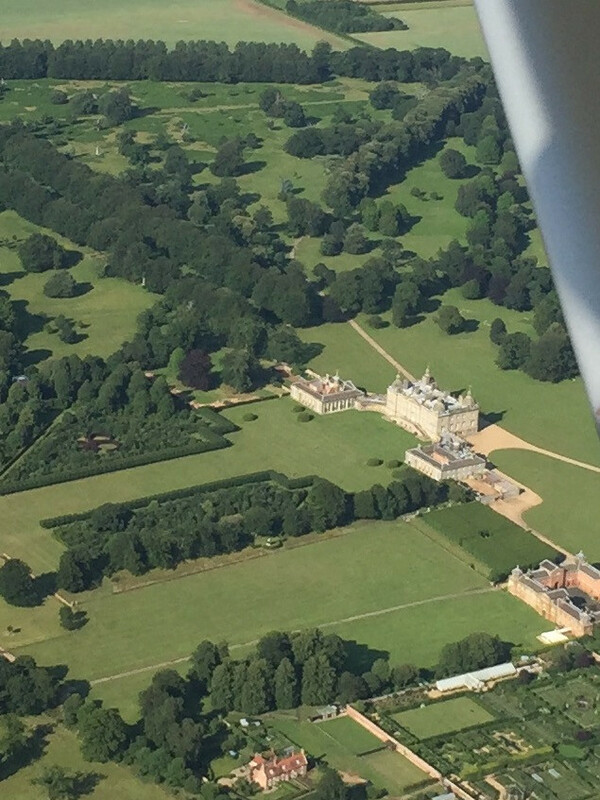 Down to Gayton where we flew around it a couple of times and then up to Sandringham and then over to Castle Rising. I have driven by Castle Rising many times but never really seen it, it looks interesting I may have to pay it a visit sometime! 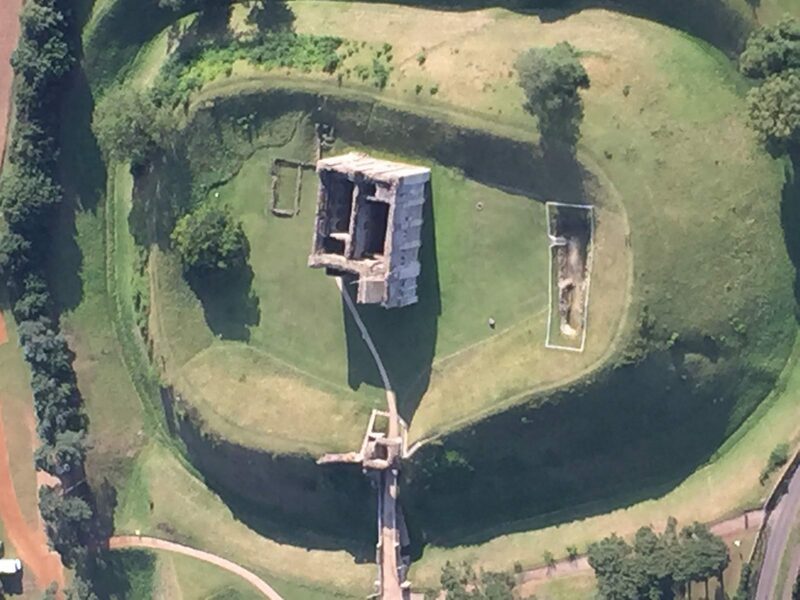 The next change of plan was to fly over King’s Lynn and show my Daughter her old school and other places from the air. We then turned back to Chatteris and joined on Base leg for 01, just as we were about to turn final the parachute plane called taxing 01 and as I was unsure if he had heard us I may another call to advise we were turning onto Final for 01 and he answered with holding short for 01. I was a little high on my landing touching down a little way after my normal point and floating a little too, but it was a very smooth touchdown and a very enjoyable flight for both of us. 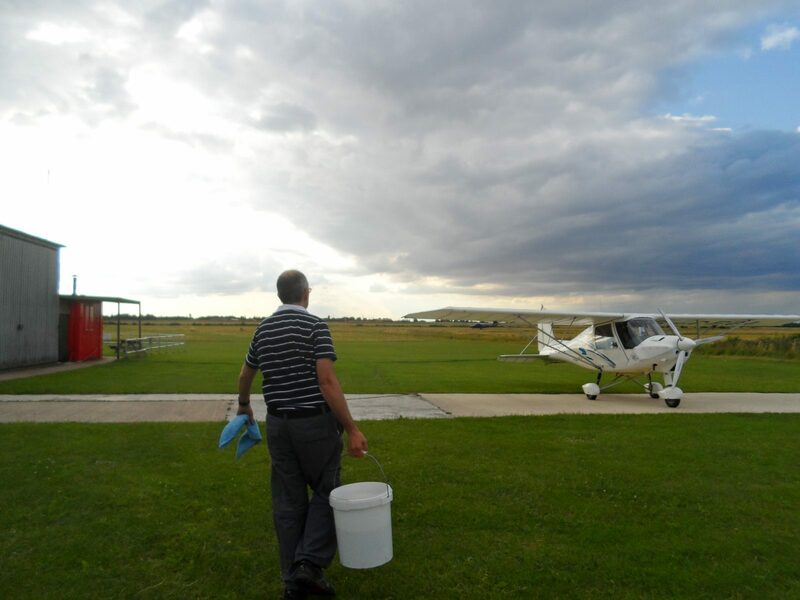 Time to wash the aeroplane! Good work Adrian. Did your daughter enjoy the flight? I bet your daughter loved it! 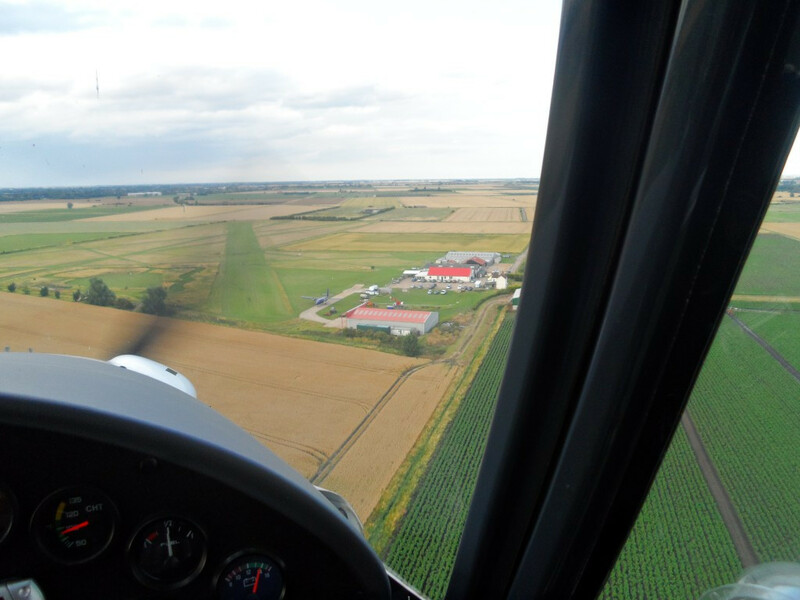 Previous PostPrevious First flight as a qualified pilot!